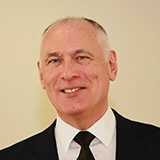 Before joining the Chartered Institute of Payroll Professionals (CIPP) as business operations director in February 2016 and becoming chief executive officer in September 2016 Ken was latterly with Capita as operations director responsible for payroll and HR shared centres in Bootle and Barnet primarily in the NHS and Local Government markets. Ken's career track record includes global outsourcing director, head of BPO operations and various service director roles within the payroll and HR services industry with NGA HR, ADP and Rebus and over 30+ years’ experience in the industry. Ken built a successful reputation as the strategic head of operational delivery of BPO services, including establishing payroll and HR services in India and the Philippines. In addition he implemented and ensured global compliance standards as well as quality dashboards across clients and centres. Prior to these management roles Ken worked for Shell, North Yorkshire County Council and Cambridgeshire County Council in various roles within payroll, starting initially as a payroll clerk and moving through various related roles into management positions. Ken's association with what is now the CIPP began with initial membership of APSA (Association of Payroll and Superannuation Administrators way back in 1983), and then subsequently through the BPMA, IPBM and IPPM until elected as a non-executive director to the board of the Institute of Payroll Professionals (IPP) in 2004 and following re-election in November 2006 was appointed as vice chair of the IPP in 2007 and chair in 2008 and 2009. Vickie is passionate about raising the profile of payroll and pensions within the UK, and utilises all elements of the marketing mix in order to do this. Through her role at the CIPP, Vickie is required to deliver presentations promoting the CIPP at various industry events. 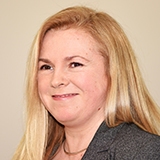 Vickie has been at the CIPP since 2003 when she joined as marketing administrator, through undertaking professional qualifications and Continuing Professional Development (CPD) Vickie has developed her career at the CIPP and is now the business development director. In this role, Vickie is responsible for developing the marketing strategy and communications messaging to promote all of the CIPP’s products and services. Her role involves a great deal of environmental analysis and market research, all of which are enhanced through utilising social media platforms. In addition to this, Vickie has been instrumental in the development of the CIPP website, including the integration with the membership database and the new online CPD tool. Sue was appointed education director in 2019 and comes with both a strong commercial and academic background. Sue has over twenty years’ commercial experience built from practical managerial experience in the private sector, and development experience in the public, private and not-for-profit sectors. Having worked in many house-hold brand name organisations such as Accenture, Punch Retail, Tarmac, Stagecoach, and Granada, she joins the CIPP with a proven track record of success in operational management and learning and development positions. She has also ran her own private development company for 14 years. Sue has extensive experience in the Higher Education sector, having lectured at De Montfort University in Leicester and at the University of Derby. Having completed a Doctorate of Education in Business Coaching, she has continued to coach practitioners and business leaders both through the university and through her own private business. 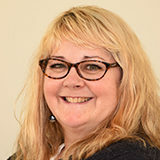 As a Senior Lecturer, Sue has taught and programme managed programmes from level 5 through to level 8, including the CIPP’s MSc in Business and Reward Management and the BA (Hons) in Applied Business and management. She is also a trained supervisor for doctoral students. Sue has authored a book, published a number of articles on business coaching in educational journals and presented papers at several conferences. 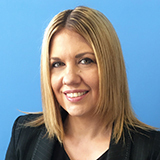 Stacey has been with the Chartered Institute of Payroll Professionals (CIPP) since 2003 when she joined as training administrator. 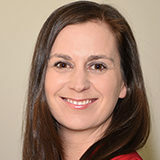 Stacey has various roles within the CIPP but as the associate director of events, she is primarily responsible for the planning, the coordination and the administration of all CIPP events including the flagship Annual Payroll and Pensions Conference and Excellence Awards ceremony. Her role within the CIPP includes responsibility for the day to day management of the training departments short course administration, diary management of the London training centre, booking the accommodation, meeting rooms and travel for all departments within CIPP and is deputy controller for compliance within the effective quality system ISO9001:2008. Stacey has had over 15 years’ experience in the events arena; working in the hotel industry and in a corporate venue sourcing agency on both a national and international scale. Before joining the policy and research team in April 2011, Helen worked for HMRC for 27 years. Helen worked for HMRC for 27 years. For many years she worked in HMRC’s Accounts Office at Shipley, collecting PAYE and Class 1 NIC and reimbursing Statutory Payments to small employers, before moving into Human Resources. An HR manager for four years, Helen also ran the payroll for the Accounts Office staff’s childcare scheme. 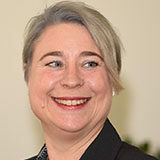 In 2004 Helen transferred to the Employer Team in HMRC’s Business Customer Unit, specialising in employer customer understanding, before joining the CIPP in April 2011. Holding the MSc in Business and Payroll Management through Derby University, Helen’s responsibilities with the CIPP include managing the Policy Team and the CIPP’s Advisory Service. She writes articles for the CIPP magazine as well as external publications, attending consultation forums with different government departments, conducting consultation surveys and submitting responses to the various bodies. She also presents at CIPP and external events keeping payroll practitioners in touch with the latest developments in payroll legislation. Jason is Chair of the Chartered Institute of Payroll Professionals (CIPP). Within this role he speaks at a variety of conferences, supporting a variety of initiatives and representing the membership of the Institute. Jason has spent the majority of his career in the BPO industry. In the last 20 years he has worked for Logica and NGA Human Resources, providing payroll, pensions and HR outsourced services to a variety of both Public and Private sector organisations. Having held a number of management positions across the outsourcing industry, his experience has been in developing service centres to provide partner support to clients outsourcing initiatives. Jason has worked in Global, Design / Market / Sell teams, delivering services to those clients with a global and local footprint, using a blended on – near – off shore model to support service delivery wherever the client may have a requirement across the globe. Cliff Vidgeon is the Director of Corporate Management at Aston University. Cliff Vidgeon is the Director of Corporate Management at Aston University. He is also a Director of JEC Training Ltd and is engaged as an adviser and negotiator on pensions issues by Universities UK. 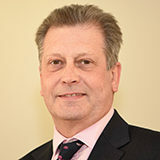 Cliff has for many years served in an advisory capacity to the Institute’s magazine and has represented the Institute on some pension’s related Government consultation bodies. His literary endeavours have included articles for the Institute’s magazine. The annual Compact Payroll Reference Book was Cliff’s concept, which he co-wrote and first published in 1999. Cliff’s main employment history has been entirely within the education sector and has been Payroll Manager a Pensions Manager a Director of Human Resources before his reincarnation as a Director of Corporate Management. Ian has previously been a non executive director of the IPPM and Uniuser Ltd, the now defunct user group for users of Peterborough Software products. After a short spell with the House of Fraser and four years with the Clydesdale Bank in his native Glasgow, Ian moved to Hampshire in 1977 where he joined local government and, very quickly, started his payroll career. 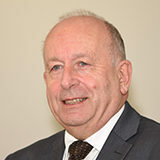 After several moves he ended his local government career in 2001 having reached senior management level in a large council in the Thames Valley whereupon he started his own consultancy and training company, which he continues to run to this day, alongside an accounts and tax practice where he is the qualified tax partner. His involvement with payroll, from a professional point of view, goes back prior to the CIPP beginning with his payroll studies as a member of APSA, became a member of BPMA in the mid 1980’s and has stayed with it through all its transitions since. He was one of the first tutors and examiners of the management diploma when it began in the early 1990’s, assisted with the development of the foundation and was the London examination manager for many years. Since then he has continued to work with the Institute on each stage of its educational and training material development and is already working on new developments now. As part of a small team he helped to create Pay Advice, the first institute magazine, and created the first guidance booklet for students, StudentAdvice, an innovation which has only recently been revived. More recently he has helped the Institute work on its processes for the new PQP for sole traders and owner managed businesses and his outspoken views have been taken into account in other areas of the Institute’s activities. 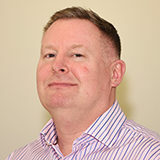 Currently he is Chief Examiner for payroll examinations with the AAT and has been involved in three reviews of the occupational standards for payroll administration, all of which has benefited the profession. In addition to this he advises the AAT on other matters, assisting them with payroll and other employment related issues in consultation with HMRC. He has been a speaker at many meetings and ran the IPPM Thames Valley region for some years. 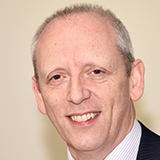 Ian is a fellow of the AAT and a member of the Association of Taxation Technicians. Karen continues her support for the CIPP in addition to the Board position, as a payroll Foundation Degree tutor and an MSc lecturer. Karen was responsible for the CIPP Policy team for 13 years and gave up this role to move back to the coal face. 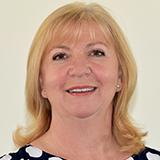 Karen is now Director – Group Payroll Services at Armstrong Watson Accountants in Carlisle. Before this Karen’s experience in payroll extends to local authorities and public sectors as well as pension experience with the Local Government Pension Scheme, Police and Fire schemes. Karen is qualified to MSc level and has also recently attained a Post Graduate Certificate in Education (work-based learning). 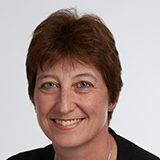 Karen is a Chartered member of both the CIPP and the Higher Education Academy. Liz joined the CIPP board of directors in 2017. Being passionate about payroll, payroll education and promoting the profession Liz believes that she is at the stage of her career where she has a wealth of knowledge, experience and skills that she can bring to the CIPP to positively help uphold member trust, ethical standards and the institute’s mission. She led the design development and project management of the CIPP Payroll Quality Partnership scheme successfully engaging over 80 organisations within a two year period. Using strategic decision making she set up from nothing, built and successfully ran her own business for five years in an extremely competitive environment. The strategic decision to sell the business also proved successful. Liz believes that the CIPP will continue to lead payroll and pension professionals through education membership and recognition with steady growth of its member base. The UK government has confidence in the Institute and will continue to communicate with them as a prime source for employer representation. It will continue to be a market leader in payroll education with standardisation and continued development of its qualification programmes. As promotion of the Institute continues and standards and quality of its training portfolio improves it will also become the market leader in training with links to overseas professional bodies expanding. Ros has been a HR and payroll industry professional for more than 25 years. Having fellow status of both the CIPP and the CMI, as well as gaining individual chartered status with the CMI, she has proven experience within the strategic HR and payroll community, and in 2014 joined the CIPP board of trustees. Industry experience includes 12 years working in the HR and Payroll outsourcing industry, having previously worked for Ceridian, LogicaCMG, and NorthgateArinso in implementation, quality, consultancy, and strategic management roles. 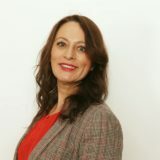 Additionally, Ros has extensive experience working for her own organisation Well Paid Consulting, as an interim manager and consultant, assisting in-house payroll departments in improving processes and performance, implementing new HR, payroll, and expense systems, and merging payroll services into HR shared service centres. Working with the CIPP for the last 12 years, Ros also tutors the Foundation Degree in Payroll Management, and the MSc in Business and Reward Management, and is a registered Payroll Assurance Scheme (PAS) assessor. An additional part of Ros’ role with the CIPP has recently included writing study material for the MSc in Business and Reward Management, and helping develop the Payroll Apprenticeship scheme. Ros holds a high profile within the HR and payroll industry, becoming a finalist in the Payroll World Awards 2004, and being awarded the IPP Payroll Employee of the Year in 2007. Suzanne joined the CIPP board of directors in 2017, she has always worked within the payroll industry (25+ years); during which time it has changed exponentially becoming the fast paced moving industry it is today. She has witnessed it transition from a ‘thankless back office task’ processing manual transactions into a dynamic, exciting and career driven industry. She fell into the world of payroll starting with work experience at 17 working for Granada. During that time she was offered the position of Wages Clerk paying a 600+ workforce. Eventually Suzanne joined Armstrong Watson, where she still enjoys working today. She has overseen the growth of the department from three employees to over 20 with an increase of more than 3000% turnover. Stuart joined the CIPP board of directors in 2017. After the sale of Employer Services in October 2015, Stuart took a break from business life; travelling, catching up on hobbies, pursuing new interests and spending time with his family. Currently, he’s been working as an independent consultant in payroll and general business matters. With over 35 years’ experience in payroll and HR sectors and a broad experience in sales, accounting and operations, he enjoys opportunities to pass on subject knowledge and help others develop. He has experience of working at a strategic level, developing and implementing new concepts as well as understanding budgets and financial planning. From a payroll clerk, when he was a founder member of the BPMA, to CEO of a multimillion turnover company, his experience is broad as it is wide. Stuart achieved the Diploma in Payroll Management (2003), a further Diploma in Applied Management (2005) and graduated from Henley Business School, (University of Reading) with a Masters in Applied Management (2011). He sees the CIPP playing an increasing role in helping, guiding and keeping payroll people updated and effectively trained for their roles, and engaging more in promoting the benefits of a career in payroll through programmes like apprenticeships. He believes passionately that ‘payroll’ can do much more in the strategic decision process within organisations and sees the CIPP helping to develop payroll into an influential role within businesses. Dianne joined the CIPP board of directors in 2018. Dianne has worked in the payroll profession for over 30 years, so has seen many changes from green screen mainframe to Cloud Based solutions. Payroll became Dianne's passion in 2003 and she decided to study the IPPM Diploma in Payroll Management and once she had completed this, she took on the role as a CIPP tutor. In 2017, Dianne decided to look for a new challenge and joined Hyperion Service Limited as the EMEA Payroll Manager. Hyperion are one of the world's leading insurance intermediary groups with a growth story to be incredibly proud of, they employee around 3,600 employees worldwide. Dianne is always looking for the next challenge and as we move further into the digital age and Artificial Intelligence hopes this will provide that challenge and there are exciting times ahead for us all. Join a vibrant and rapidly expanding employer recognised as one of the Times Top 100 Companies to work for in the UK.